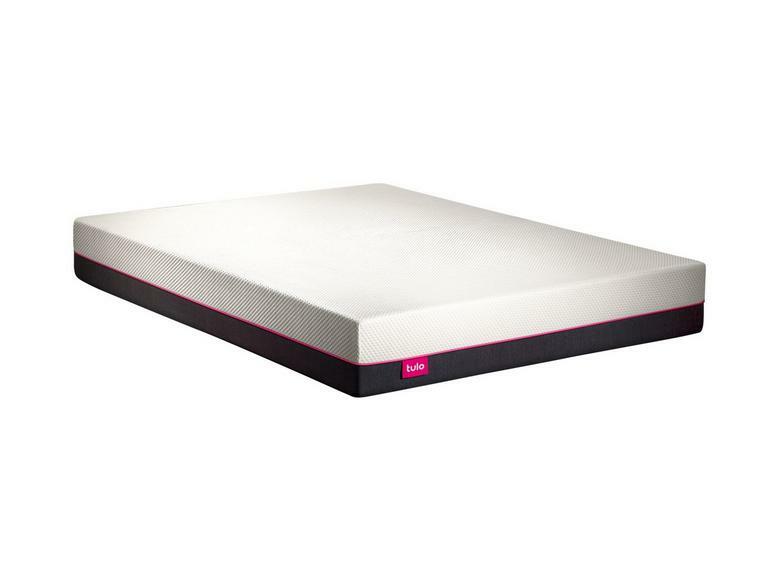 Tulo Mattress Review l from Mattress Firm | A good buy? Mattress Firm has gotten into the online market with Tulo! They offer 3 firmness levels and come in at a very cheap price. But is it too cheap? See our findings below. The Tulo mattress is similar to some other bed-in-a-box options (which are becoming increasingly popular for how easy they are to buy and set up), but with the notable distinction of being produced by Mattress Firm, a company that is well-known throughout the entirety of America and has been dedicated to providing high quality mattresses since 1986. 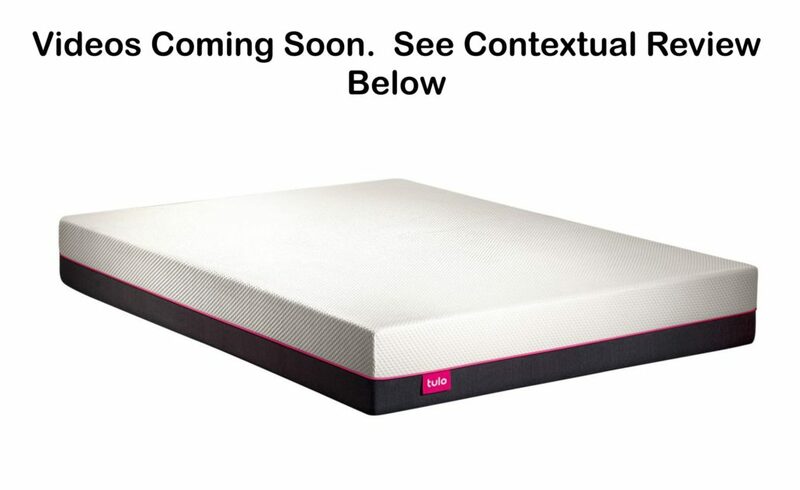 The Tulo is also considered preferable to some of its competitors because of its affordability; all Tulo mattresses are reasonably priced regardless of size and firmness level, setting it apart from mattresses from competing brands that can be both overpriced and inconsistently priced depending on the variety (some companies, for example, charge more for a firm mattress compared to a soft mattress, even when the mattresses are constructed similarly and with virtually the same materials). Like many memory foam mattresses, the Tulo mattress ships in a vacuum-sealed compressed form and will arrive in a large cardboard box. But unlike some other beds-in-boxes that will deliver to your home but simply leave the box containing your new mattress on your doorstep (which can lead to a risk of your mattress being stolen if you’re away from home when it arrives), Tulo will schedule a specific delivery window of two hours and will email you this information the day before your scheduled delivery. This is very helpful, since it allows you to arrange your schedule so that you can be home when your mattress is delivered. Furthermore, Tulo mattresses are delivered very quickly, often within two days of your initial order; this delivery speed is much faster than many other competing brands (who often take a minimum of a week to deliver), setting Tulo apart from the competition if you want your new mattress sooner rather than later. The delivery drivers will also bring it inside, unpack it, and set it up for you if you need help or request it, which can help take some of the additional stress out of the process (this is a particularly useful option if you need to get your new mattress up a staircase to reach your room). Want the option to choose between soft, medium, and firm. With Tulo, you don’t need to resign yourself to sleeping on a mattress that is too soft or too hard for you; you can pick the firmness level that you want and need for a restful night’s sleep (and not have to pay extra for it). Want a fairly priced mattress. As far as high quality memory foam mattresses go, Tulo is very affordable. you can also rest easy knowing that you won’t be charged extra for a firm mattress versus a soft mattress; all mattresses of one size are priced equally. Furthermore, Tulo mattresses are price-locked, meaning that you won’t need to waste time scouring the internet for better deals: the price for a Tulo mattress will always be the same. Want free and fast shipping. Thanks to Tulo being produced by Mattress Firm (which has a wide and efficient distribution network), this mattress can be delivered in two days after you place your order. Furthermore, shipping is entirely free within the United States, and the delivery drivers can even help you unpack and set up your new mattress entirely free of charge (and they’ll even haul away and dispose of your old mattress for you if you need them to!). Want to buy straight from the manufacturer. Tulo mattresses are only available online through the official website, or through parent company Mattress Firm (the Tulo mattress can be found both on the Mattress Firm website as well as in their physical stores). This exclusivity helps to maintain the affordable prices of the mattresses as well as ensure the continued high quality of the product. 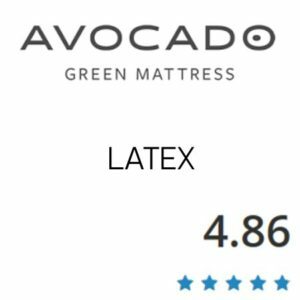 Want to try out your mattress before buying it. Thanks to Tulo being produce by Mattress Firm, all you need to do if you want to test one out in person is swing by a Mattress Firm store. And with over 3,500 stores around the country, finding an outlet near you shouldn’t be too difficult. This mattress also features a four month free trial, so if you decide that you don’t like it after those one hundred and twenty days, all you need to do is contact the company and they will refund you the cost of the mattress and arrange for someone to come and pick it up from you. Don’t like memory foam. This mattress is composed entirely out of memory foam (it consists of four layers of foams in varying densities), so if you aren’t fond of memory foam mattresses or if they just don’t work well for your individual sleep needs then this is probably not the right mattress for you. This mattress is composed of four different layers of memory foam and as such is geared towards delivering a sleep experience that combines body-relaxing comfort with strong back and joint support. This specially designed mattress is available in three different firmness options: soft/plus, medium, and firm. The variation between these three options is pretty self-evident, and comes from the varieties of memory foam used. The official Tulo website also has a interactive tool that can help you work out which variety of mattress (soft, medium, or firm) is best for you depending upon your own personal needs; they will assess your sleeping position (whether you’re a side sleeper, stomach sleeper, or back sleeper), any special sleep needs (if you tend to get overheated at night, experience lower back pain when lying down, if your limbs get numb or tingly when sleeping, et cetera), how large of a mattress you need, and so on in order to match you with the best mattress possible. Generally, they recommend the soft mattress for side sleepers (since it puts less pressure on your shoulders and hips so that you can stay comfortable and pain-free when you sleep), the medium mattress for stomach sleepers (because it can offer comfort and support for your body without putting too much pressure on your stomach and internal organs), and the firm mattress for back sleeps (since it offers great levels of support for your back, shoulders, and other joints). That being said, if you aren’t sure which level of firmness to try, you should consider the medium option since it combines firmness and comfort in equal amounts and can work well for side sleepers and back sleepers as well as stomach sleepers. Also, if you find that the mattress you picked isn’t the right firmness for your needs, you can contact the company and swap it out for a different mattress at no cost. Because this mattress is composed mainly of different types of memory foam, there are some slight off-gassing concerns; primarily, the smell. While not overwhelming for most people, there is a slight aroma that may occur when first un-boxing and unpacking your new Tulo mattress. It may be advisable to let your mattress air out slightly before using it. That being said, It will likely need a little time to fully expand out into its full size after being unwrapped in any case, so by the time the mattress is full-sized and ready to be slept on, the smell will most likely have entirely dissipated. Thanks to the high density foams incorporated into the Tulo mattress’s construction, this mattress overall has great support and weight distribution. That being said, it is constructed entirely out of different types of memory foam, which are known to sometimes be lacking in edge support as times goes on. As a result, this mattress have experience some slight sagging at the edges if those portions of the mattress bear large amounts of weight over long periods of time. The Tulo mattress utilizes innovative new technologies to provide a revolutionary new mattress experience while also incorporating some tried and true construction styles that help this mattress to provide you with both comfort and support. The very top layer of the mattress, meanwhile, is about two inches thick and utilizes some of those cutting edges ideas we mentioned earlier. 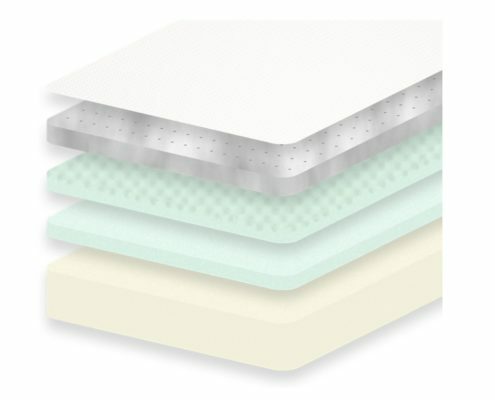 This layer features a blend of titanium particles and high density Cool Flow ventilated memory foam; this combination helps to provide both comfort and support while also helping the mattress to stay cool and ventilated. The next layer of the mattress is an inch and a half of memory foam designed specifically for breathability, to keep your mattress well-ventilated and cool while you rest. This is helpful in preventing the mattress (and by extension, you) from overheating. The third layer is comprised of another layer of memory foam, this one geared towards resiliency. 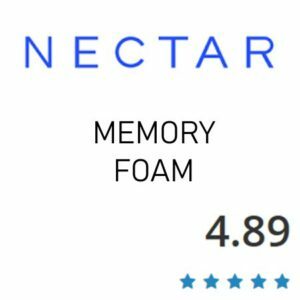 It consists of high density memory foam that is designed to minimize material fatigue and reduce surface compression; all in all, it aids in the overall durability and firmness of the mattress. Finally, the foundation layer of the mattress is about four and half inches thick and is made of more high density foam that helps provide a strong base and powerful support for the upper three layers. 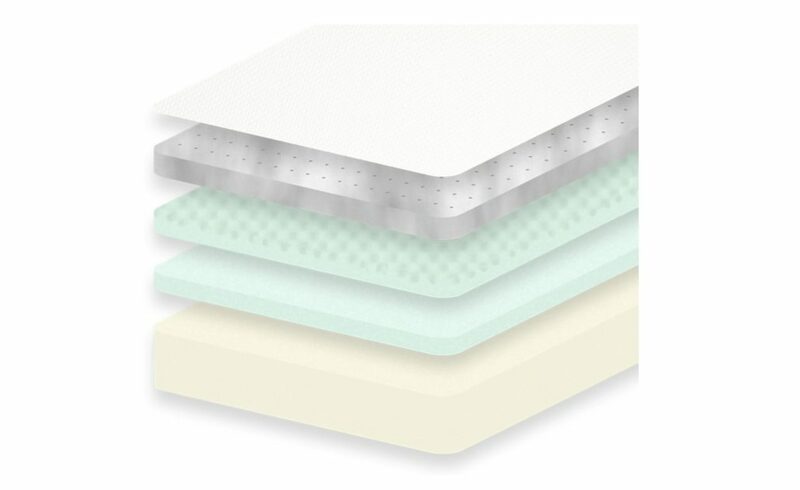 Additionally, all the different types of memory foam utilized in this mattress are CertiPUR-US, meaning that they are certified to be safe for use and made without any harmful chemicals or heavy metals. The Tulo will work great on any solid surface. The floor, platform slats, boxspring/foundation and they now offer an adjustable base as well. The biggest thing I can say about the Tulo is the price is great. Currently while we are reviewing it they have a queen going for under $500. 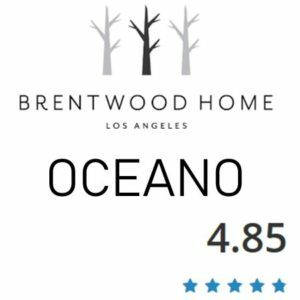 This is a great price. In terms of feel the medium is definitely a nice medium. It felt great in all sleeping positions. I am not a huge fan of 10″ foam mattresses because many are way over priced for what you are getting but Tulo is priced fairly. So it is one of my fav’s for a 10″ foam mattress. For me the Tulo Mattress had a good medium feel. It conformed well even though I am light but still had good support for Ross who is heavier. I tend to like a soft mattress so I sink in a bit more but it felt nice even though its not uber soft. The top layer gives in and conforms very well for any weight. If you are like me and like softer you can choose the firmness which is a nice feature not all brands offer. All Tulo mattresses, regardless of their firmness level and size, are specially designed to remain cool at night and keep you comfortable. The Tulo being all foam will work great on an adjustable base. This mattress comes with a 120 day free trail that allows you to decide whether or not it’s the right mattress for you and your sleep needs. If you do decide that it’s not the mattress for your, all you need to do is contact the company and they will refund you the cost of the mattress and even arrange for someone to come pick it up. It also comes with a ten year warranty that covers any damages or defects; if something goes wrong with your mattress, all you need to do is contact the company and they will work hard to resolve the situation for you with as little hassle as possible. Furthermore, Tulo is backed by parent company Mattress Firm, which has been in business for over three decades, so you don’t need to worry about the company failing and being unable to back up their warranty should something happen to your mattress. Tulo is owned by Mattress Firm, one of the nations largest mattress chain. Making it easy to feel a Tulo in a store first. “I bought this mattress 2 weeks ago and LOVE it! I never thought a mattress could make such a big difference in my sleep, but this one does. It’s the perfect blend between soft and firm. It feels as if the mattress hugs my body my night.” -Ella D.
“Had for a month now, I’m a 60 old male. Feels really firm as you start lying down on it almost hard, but feels great as you go into your slumber. Replaced a traditional spring mattress and now I get a better deeper night sleep and no longer wake up with lower back pain. It took me two nights to get used to the firmness, I sleep mostly on my sides and back, very comfortable, highly recommend.” -Anonymous. As you can see, the Tulo mattress has won over the hearts and minds of many people thanks to its high quality design that offers both comfort and support (and all at an affordable price!). 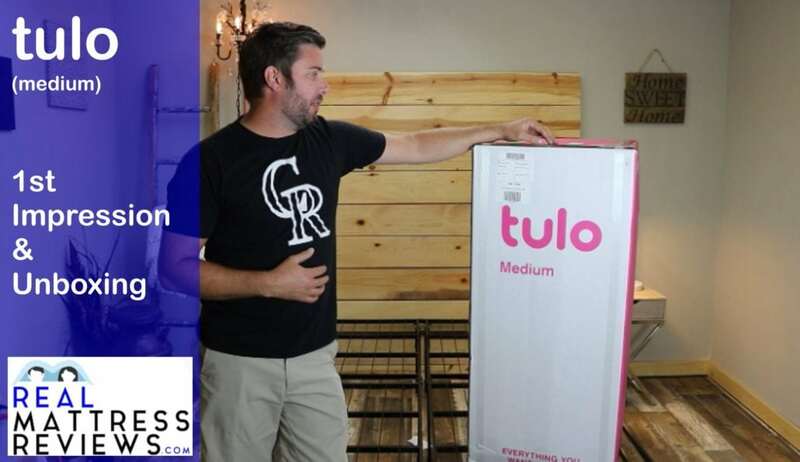 All in all, the Tulo mattress is one of the best bed-in-a-box options currently available for purchase and is well worth the price for the great sleep experience it provides.